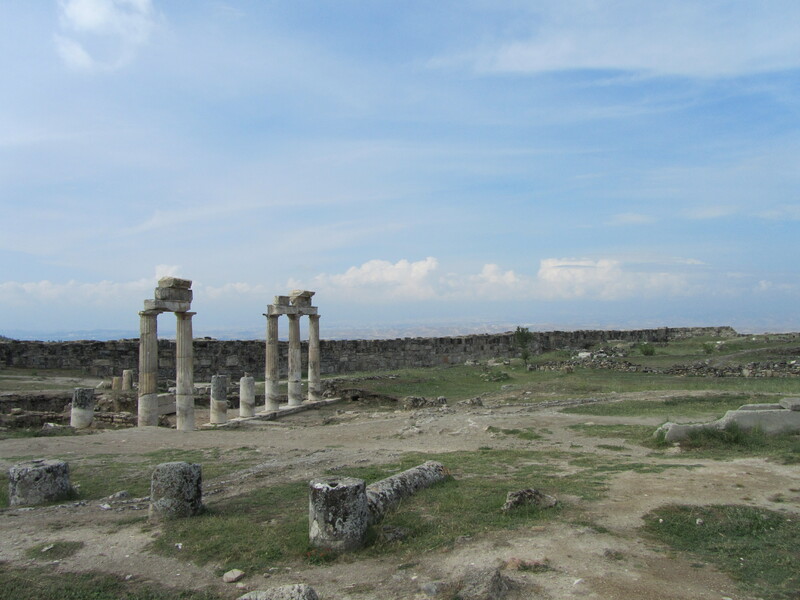 After a walk back in time through the ancient streets of Ephesus, it was time to move on to another famous UNESCO site. 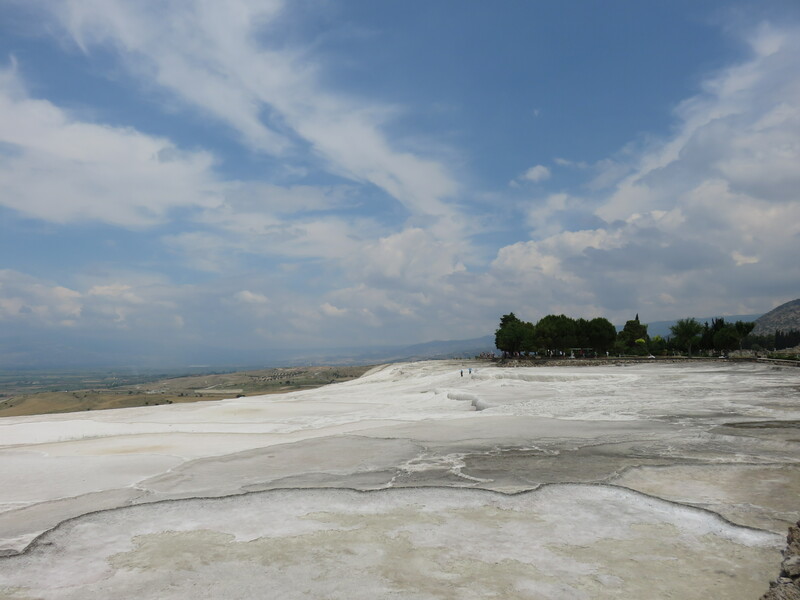 I never would have guessed but our visit to Pamukkale-Hierapolis was one of the most unexpected delights of my time in Turkey. 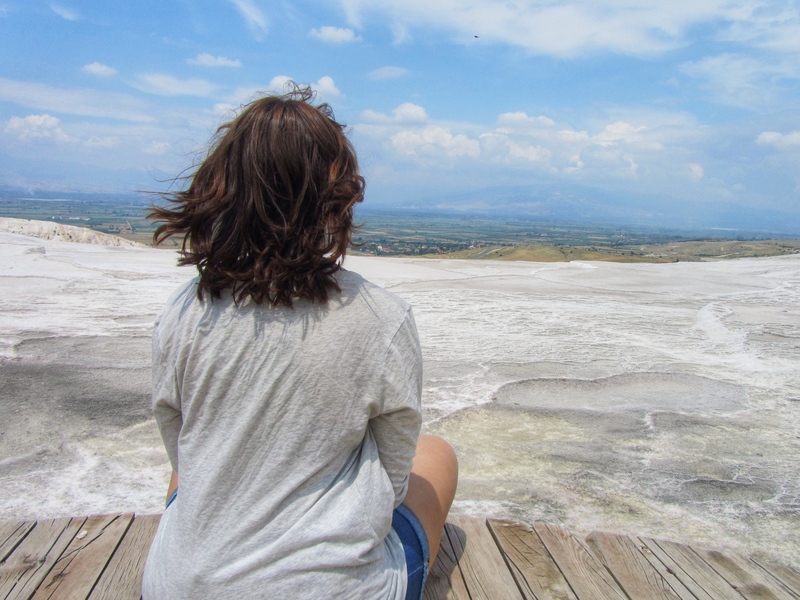 I honestly had never even heard of Pamukkale until I saw it coupled with a 2-day tour to Ephesus (both sites are relatively close) and really had no idea what was in store for us. 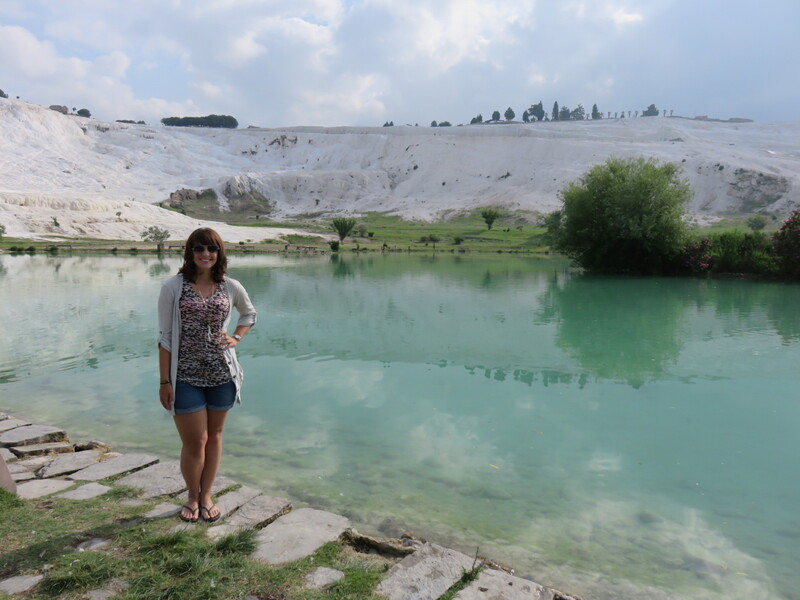 We woke up bright and early to stop by a lovely viewing spot at the base of the cliffs near a gorgeously colored lake. I was mesmerized by the “snowy” mountains and very curious to get up close and personal. 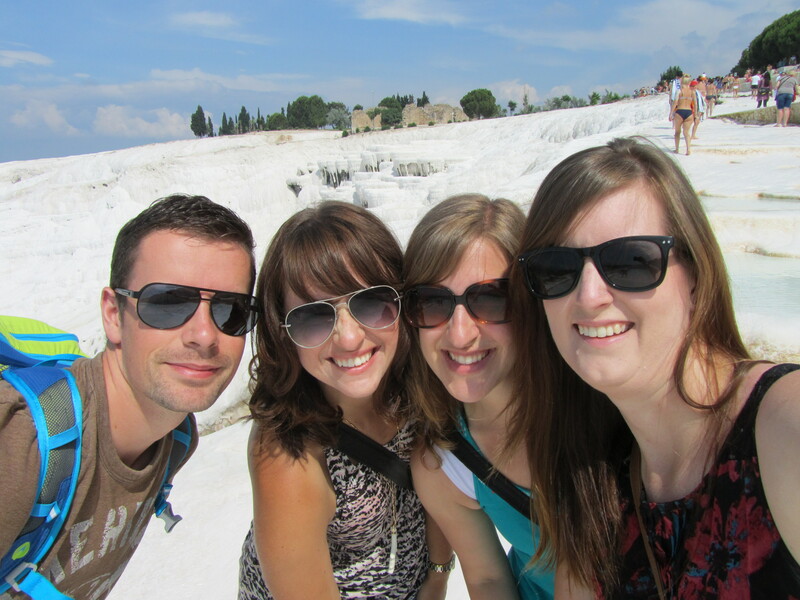 Before we could head to the terraces we made a pit stop at Cleopatra’s Pool (Antique Pool of Pamukkale). 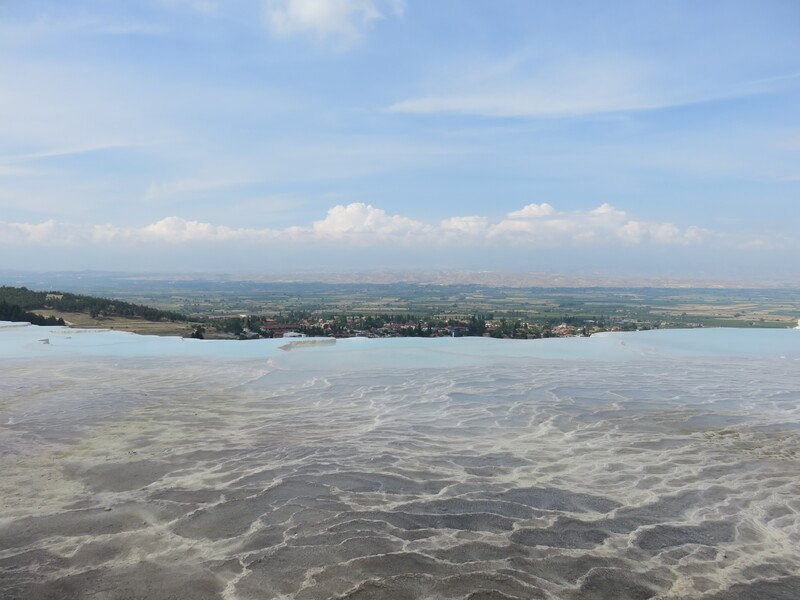 Legend has it that this artificial pool was a gift from Mark Anthony to Cleopatra. 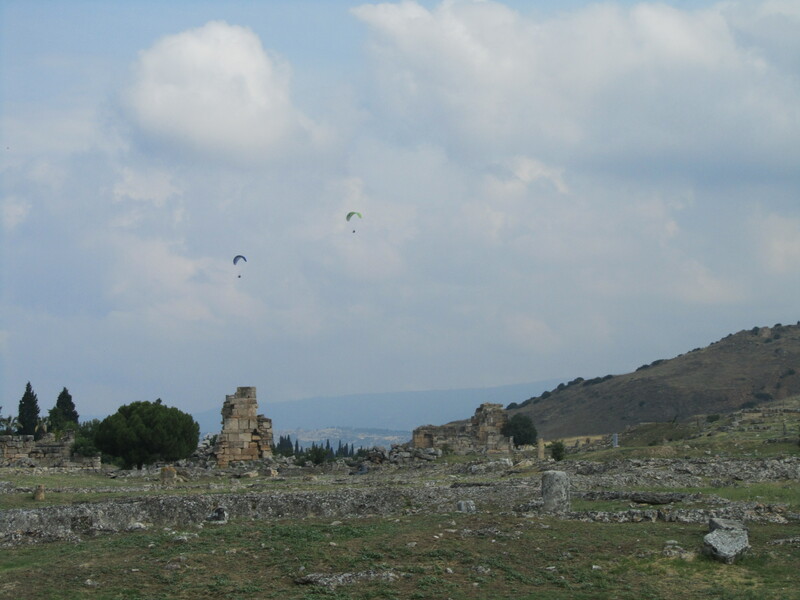 After an earthquake in the 7th century, the remains of the surrounding structures ended up tumbling into the pool. 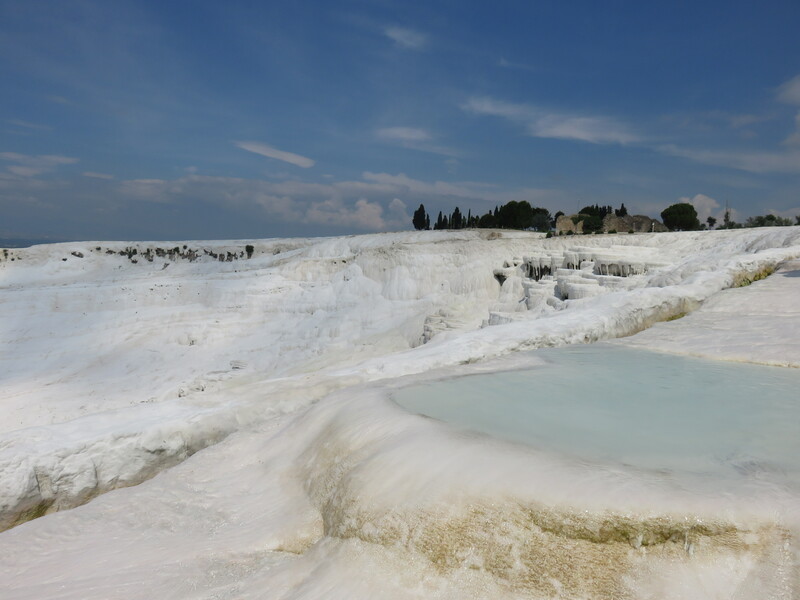 Today you can swim among the massive marble columns while enjoying the thermal hot springs. 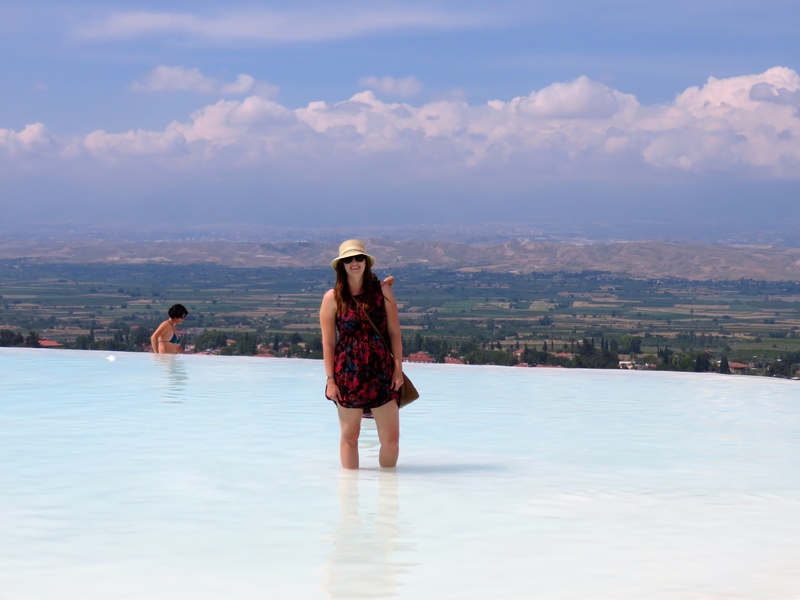 We skipped out on the extra 30 Lira price tag to spend our time in the much cooler (and FREE) terrace pools. When we finally approached the edge of the 200m cliff, we were instructed to take off our shoes. 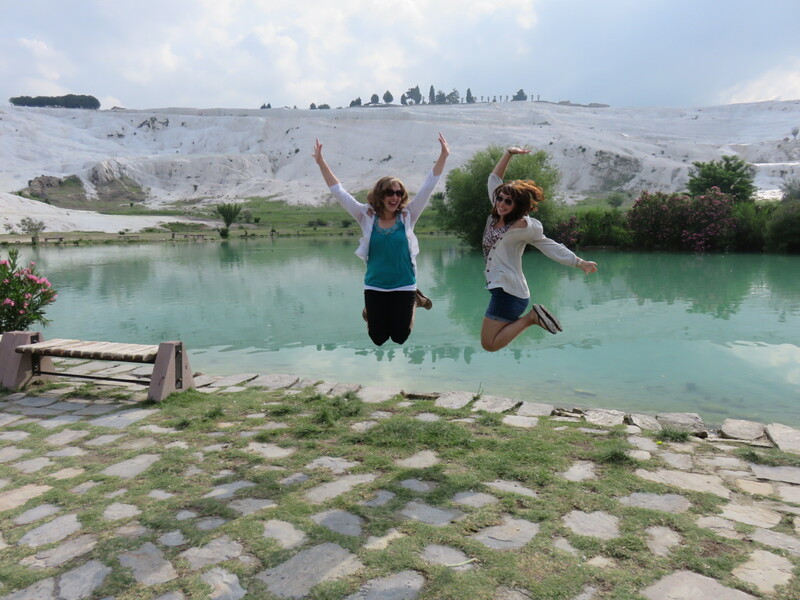 Giddy with excitement we carefully tip-toed our way over the rocky terrain before reaching the springs. 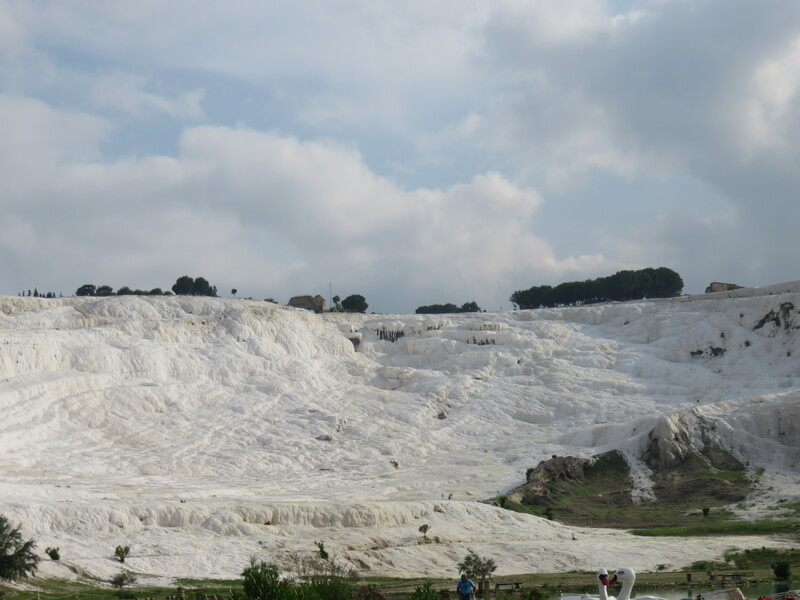 The landscape before us was surreal. 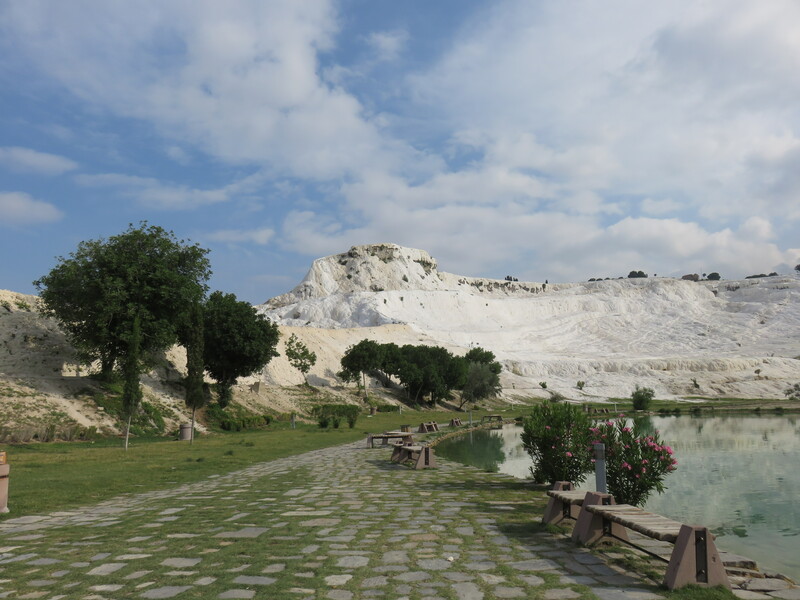 Created by flowing hot springs and travertines (limestone deposits), the natural phenomenon here has resulted in mineral forests, petrified waterfalls and a series of terraced basins. 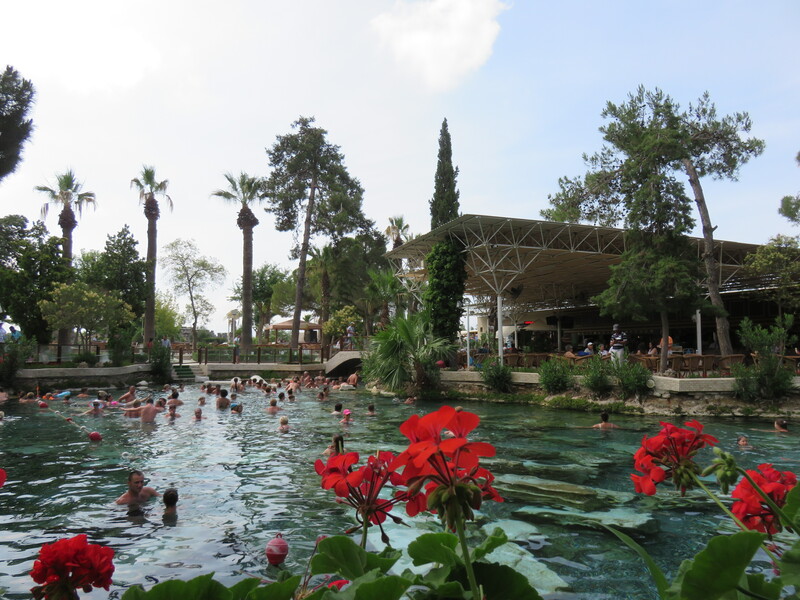 The 17 hot water springs range from 35 – 100 °C and have been bathed in for 1000s of years. We spent the better part of an hour photographing every angle, dipping our feet in the pools, and even swimming. 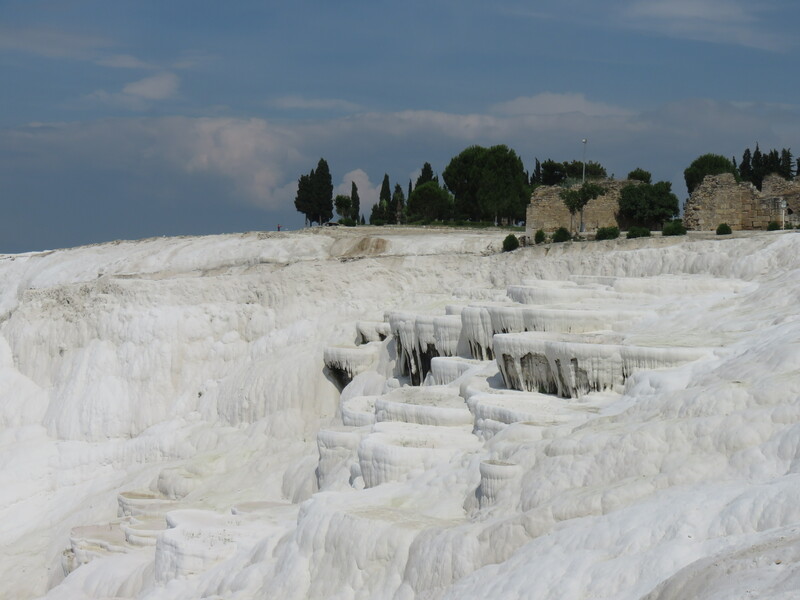 It’s easy to see why Pamukkale garnered the nickname of Cotton Castle. Other descriptors we used included glacial, lunar, and cotton candy! 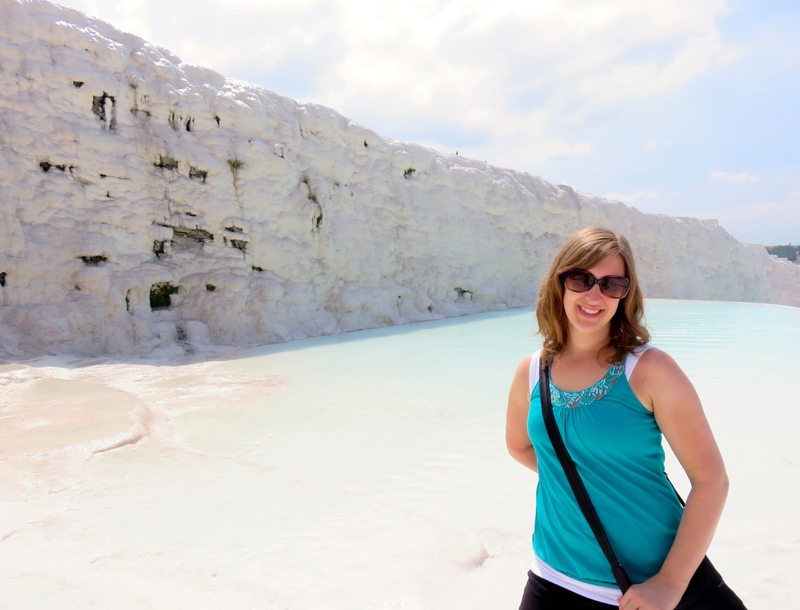 I’m so glad that we added this to the itinerary at the last minute (okay… it was still like 3 months prior… who am I kidding?) 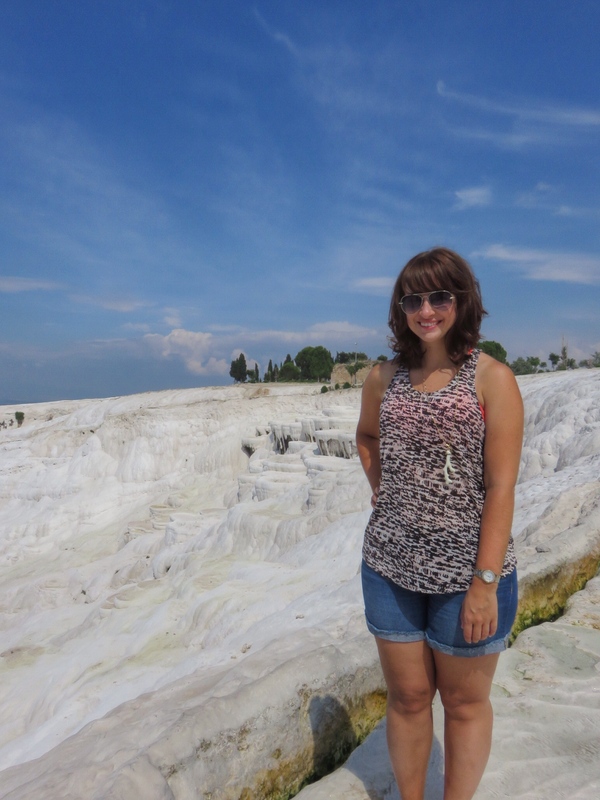 because it should be on every traveller’s Turkey bucket list.